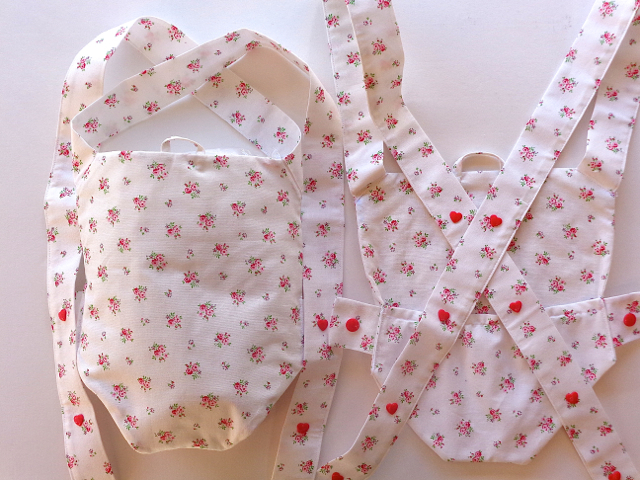 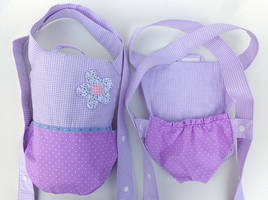 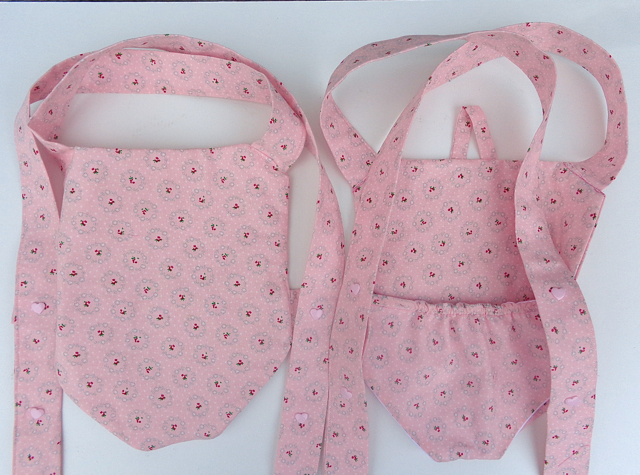 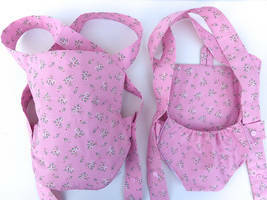 New: Dolly baby carriers for dolly daddies and mummies aged 3-8. Designed for wearing on the stomach and the back, or outside; easy to put on. 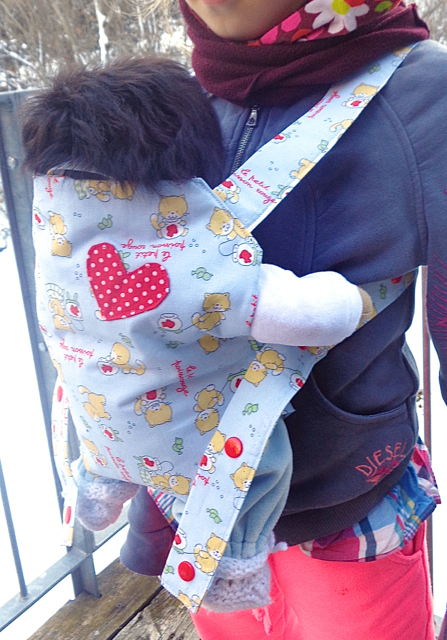 With an integrated groin strap, the doll has a good fit, also while putting the carrier on. 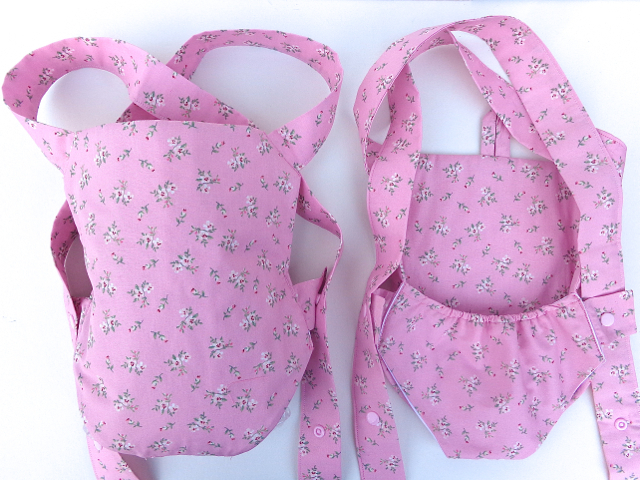 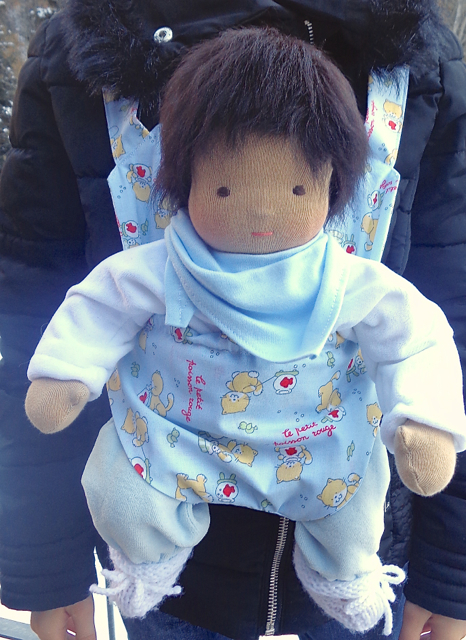 To see an enlarged image of the dolly baby carriers, please click on the chosen photo!